A couple years back I had an idea for a garden-related reality show. 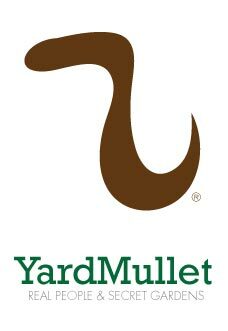 I called it Yard Mullet. You know those houses where the front yard is perfectly ordinary but the backyard is amazing? That’s a Yard Mullet: all business in the front; party in the back. This was the logo I made to help visualize the idea.